Regardless of your age, body type or fitness level, rowing is one of the best total body workouts available. Rowing uses over 85% of the muscles in your body and burns more calories per minute than cycling, running or swimming. Rowing offers a unique combination of cardiovascular conditioning and strength training in one workout. Rowing torches calories and results in huge fitness gains. 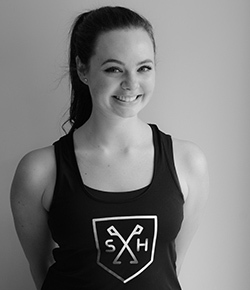 SCULLHOUSE classes are high-energy, high-intensity, low-impact, and will be sure to motivate you to push yourself to new levels. The unity of rowing together, in combination with our custom playlists and dim lighting, results in an unparalleled and unique experience. Deemed “the biggest fitness trend of 2016” by Oprah, and “the new spinning”, indoor rowing is taking off all over North America. 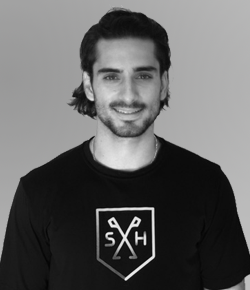 Despite the growth of indoor rowing, before SCULLHOUSE there was no dedicated indoor rowing gym in Canada. 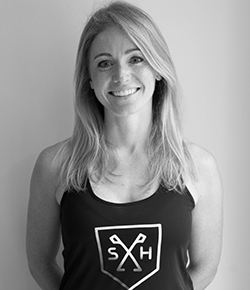 Founded by former Canadian National team rower, Kristin Jeffery, SCULLHOUSE Rowing brings authentic indoor rowing to Toronto. 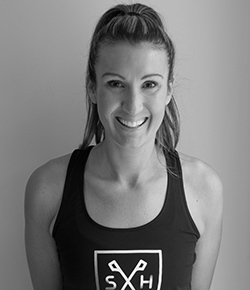 Our trainers come from diverse backgrounds, including: rowing, skiing, spinning and triathlon. Despite these different backgrounds, our trainers all share a passion for motivating others to achieve their goals, to push past previous limitations and leave every class with no regrets. SCULLHOUSE Rowing classes are perfect for individuals from many backgrounds and fitness levels. The unique low-impact nature of the rowing machine allows for high-intensity workouts without placing strain on the joints. No rowing experience is required. Each class will begin with a dynamic warm-up incorporating technique instruction. Sign up for our mailing list to stay up to date on Scullhouse Rowing! ©2019 SCULLHOUSE Rowing Inc. All rights reserved.